Chinese medicine considers frequent urination and incontinence a preventable condition. I would like to share a successful case with you. Last year an 80 year old lady come to see me, who suffered from frequent urination for many years, which continued to get worse and had many episodes of leaking. For a few weeks the lady had itching and burning sensation around the groin area. After I checked to find cause through pulse and tongue diagnosis, I found that she had kidney deficiency and liver heat. I treated her with acupuncture and herbal tablets, whilst she was undergoing treatment I told her to eat a certain amount of walnuts to help her condition. After a few months the symptoms subsided. 1. What is frequent urination? Before I talk about walnuts, it is important to talk about frequent urination. Frequent urination is very common and primarily happens in those over 60 years old. It may appear as a small problem however it may have large impact on ones lifestyle and confidence. Incontinence is a more severe form of frequent urination. Chinese medicine considers the Kidney Qi that are weaker may cause loss of control of the urinary bladder which is the main reason of incontinence especially from middle age to old age. Except frequent urination, the body also has other symptoms, such as: lack of energy, lower back pain, knee, ankle, heel and leg pain, weakness or puffiness, poor memory, tinnitus (ringing in ears), insomnia or waking very early in the morning, lowered libido, impotence, frequent urination both in the day and the night, clear but scanty urination. This can also occur due to long term sickness, pregnancy or after injury in the lower back area. It is a common case in our clinic, when my patients come to see me, we usually check the body’s state through a Traditional method to find the causes of the urination problem. The most common cause of is due to the weakness and deficiency of the kidneys, we will give treatment to tonify the kidneys which will help to alleviate the symptoms. Treatment usually involves acupuncture or cupping or chinese herbal tablets. 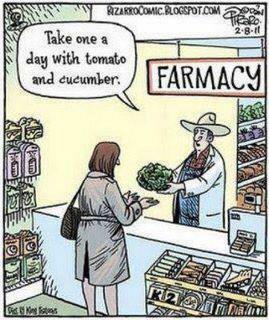 I suggest during treatment you can eat certain foods to help improve recovery or prevent this problem. 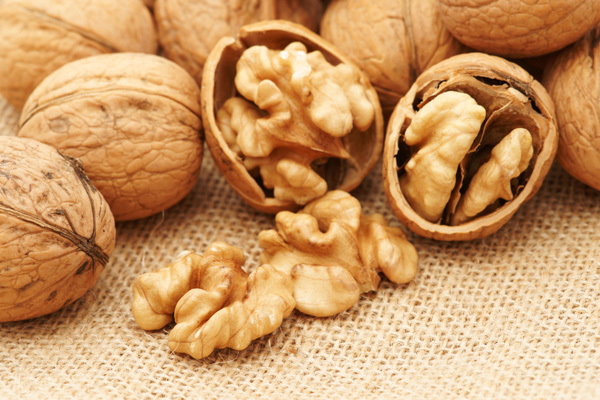 Walnuts is one of the foods we recommend for incontinence. Also you can eat walnuts to prevent incontinence from middle age. In a very old and famous traditional Chinese medicine books ‘Ben Cau Gang Mu’ records walnuts as having warming characteristics which have a sweet and mild bitter taste which tonify’s (strengthen) kidney essence, so it is suitable for symptoms of incontinence. Walnuts also help to relieve coughing and asthma. It is especially useful for those who have a stronger cough and asthma in winter and on cold days. This function of walnuts is due to its ability to strengthen the lung function. While you are undergoing treatment, I suggest that you try spring onion, ginger and walnut porridge. Please see the recipe below. Walnuts also help the development of the brain. As TCM considers the kidneys to nourish the brain eating walnuts is important in the diets of young children for brain development and in the elderly for prevention of dementia. Boil oats and walnuts on stove for 2 or 3 minutes and then add goji berries and it is ready to eat. This recipe is very easy and quick to cook and it makes a nutritious breakfast. You can eat this dish twice a week. Increase immune system, increase energy, nourish the Kidneys and the brain, balancing urination. Bring the rice to the boil with 3 cups of water and simmer for 20 minutes or until the rice is very soft. Add the spring onions ginger and walnuts and cook for another 5 minutes. It is now ready to eat. You can add any flavour to make this dish more tasty. Whilst cooking, if the porridge becomes dry, add more water. Effects: Strengthens the lungs and increases the immune system. This is especially beneficial in the cold winter and is a yummy breakfast. 2)If you suffer from nut allergies please avoid eating walnuts. 3) Lastly, if you are unsure if you should eat walnuts, please advise your health practitioner. I was advised that immersing walnuts in water overnite and drinking the walnuts water helps lower Cholesterol, any truth in that? Dear Mac, there is some limited evidence from small studies that eating walnuts can help to lower levels of high cholesterol. However, we can’t confirm at this time whether soaking the walnuts and drinking the water will have the same effect. Other great cholesterol lowering foods include: oats, fatty fish (salmon, sardines), almonds and extra virgin olive oil. High cholesterol is often a sign of inflammation in the body and it is equally important to limit many unhealthy, processed foods such as cookies, crackers and cakes, and to avoid altogether foods that contain trans-fats. You could also consult an experienced Chinese medicine practitioner to find out what is causing your high cholesterol from a Chinese medicine perspective.